Why it matters: Microsoft’s Edge browser has been around for three years now, and while it's seen plenty of improvements during that time, it holds only a tiny percentage of the market. As such, the Redmond firm is building a Chromium-based replacement, one that consolidates the browser market and continues Microsoft's shift towards becoming a more open company. They say they intend to become a significant contributor to the Chromium project to improve browsers across all platforms. Microsoft confirmed today it's preparing to move its default Windows 10 browser’s rendering engine from EdgeHTML to the open source Chromium base used by the likes of Google Chrome, Opera and Vivaldi. The new browser codenamed 'Anaheim,' will stick with the Edge name. Joe Belfiore, Corporate Vice President of Windows, made the announcement adding that Edge is will now be "delivered and updated for all supported versions of Windows and on a more frequent cadence." That means ongoing support for Windows 7, and 8.1, as well as Windows 10, plus future support for macOS. This is not only a smart strategic move, but in terms of usability, it could make Windows' default browser an instant favorite since it would essentially be using the exact same Chrome browser engine, inhering all of what makes Chrome good (and bad) minus some Google additions, plus some subtle Microsoft touches (we hope). Microsoft will also add a layer of compatibility for legacy IE-only sites, which remains of importance in certain corporate environments. With less browser engines, and thus less fragmentation, you can expect improved compatibility across all websites, less headaches for web developers and ultimately, a de facto two engine default: Chromium browsers (Blink, V8) for desktop computing and mobile web, and Safari (WebKit, Nitro) for Apple tablets and iPhones. 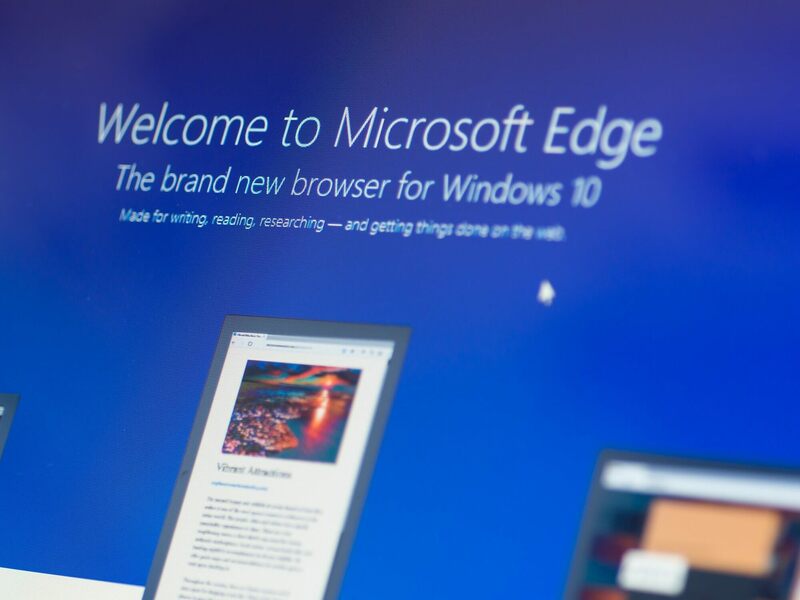 It’s thought that Edge’s continuing web compatibility and performance issues prompted the move. With Edge’s market share at just 4.2 percent and Chrome’s nearer 66 percent, it’s not surprising that Microsoft wants a product that's closer to Google’s popular browser. There were already indications that this was coming. Last month brought news that Google and Microsoft are working together to build an ARM-compatible version of Chrome for Windows 10. Whether the new Edge browser will drag people away from Chrome, Firefox, etc. remains to be seen. But most agree that the company needed to do something to improve Windows 10’s default browser.